An oral appliance can be your answer to sleep! Studies have shown that a sleep appliance is an effective treatment option for those who snore or with obstructive sleep apnea (OSA). A custom-fit appliance created by Dr. Anna Lee can improve sleep, restore alertness and get you back to enjoying life. 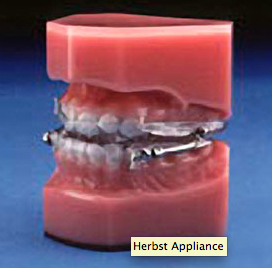 Best of all, an oral sleep appliance is many times covered by your medical insurance! The oral sleep appliance is comfortably worn only during sleep and fits much like a mouth guard, sports guard or orthodontic retainer. What makes the dental sleep device different from the other mentioned guards is that it repositions the jaw to help provide an open airway. Start your investigation into this option for your health by contacting Dr. Anna Lee today for your free airway evaluation.